Born in Crestline, Ohio, on February 3, 1937, Mary Ann was the eldest of six children lovingly brought into the world by her parents Joseph and Mary (Johnston) Schnelker. Baptized and confirmed at St. Joseph’s Church in Galion, Ohio, she was educated at St. Joseph’s School and St. Patrick’s School, also in Galion, Ohio. 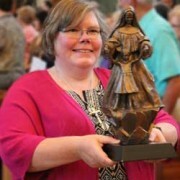 As an aspirant with the Sisters of St. Francis, Mary Ann attended at St. Francis Academy in Joliet, Illinois. She entered the Congregation as a postulant on September 6, 1954. The following year, on August 13, 1955, she was received into the novitiate and given the name Sr. Daniel Marie. 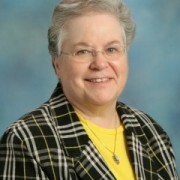 Two years later, she made her first profession and enthusiastically embarked upon a thirty‐year ministry of teaching and elementary school administration, a career for which she was prepared at the College of St. Francis and Northern Illinois University. Making her final profession in August of 1960, she definitively embraced the Franciscan way of life.